Editor’s note: This guest post is written by Jonathan Maimon. He is a bilingual freelance copywriter and internet marketer, working with a bunch of brands, as well as creating new media for Kinetis. Jonathan has spent the recent years between NY, London and Tel-Aviv. In the very little spare time he has left, Jonathan delves into music production, as can be heard on his project MARBL. There may come a time in a brand’s life cycle where it is stumped with the prospect of going bilingual (and beyond). It happens for many reasons – could be that there is a product set to launch globally, might be that its services are used more and more by foreigners. Hell, they just might want that international jet-set gloss about them. Whatever the reasons are, multilingual advertising is invaluable, and social media has made it much more accessible to smaller, local brands. Which is exactly the point in our story where you, multilingual freelancer dude/tte, enter. Take the author of this post for example – my name is Jon. At least that’s how I’ll introduce myself if you’re an English speaker. If you happen to be from Israel, where I’m from, I’ll be Yonatan. The reason I’m introducing you to these two, is that they both work in digital marketing, and they both live inside my head. Jon is very eloquent, has a rich vocabulary and is quite a serious chap. Yonatan, on the other hand, is casual, funny and approachable. They don’t always work together, but when they do – it doesn’t always end well. Some might think Yonatan’s Hebrew is too common, others might think Jon’s English is too snobby. Now, after several years of practice, they play nice. But it’s always a balancing act between the language you heard & spoke from infancy, and the language you acquired word-by-word throughout your lifetime. Let’s examine the world around us. If you had to guess what is the most prevalent language on the Internet is, you would be right by saying…. Chinese, obviously – nearly a quarter of the Internet speaks it. Generally speaking, managing a digital identity over more than 2 languages is a much more complex operation, and would usually requires several content managers to relay the same message across various audiences. 1) Is my English good enough? There’s no shame in acknowledging your weaknesses, and it might be that you can carry a conversation, but when it comes to communicating a brand’s ideas, you lack more advance language tools, which are more accessible to native speakers. 2) Is English the right language for this client? 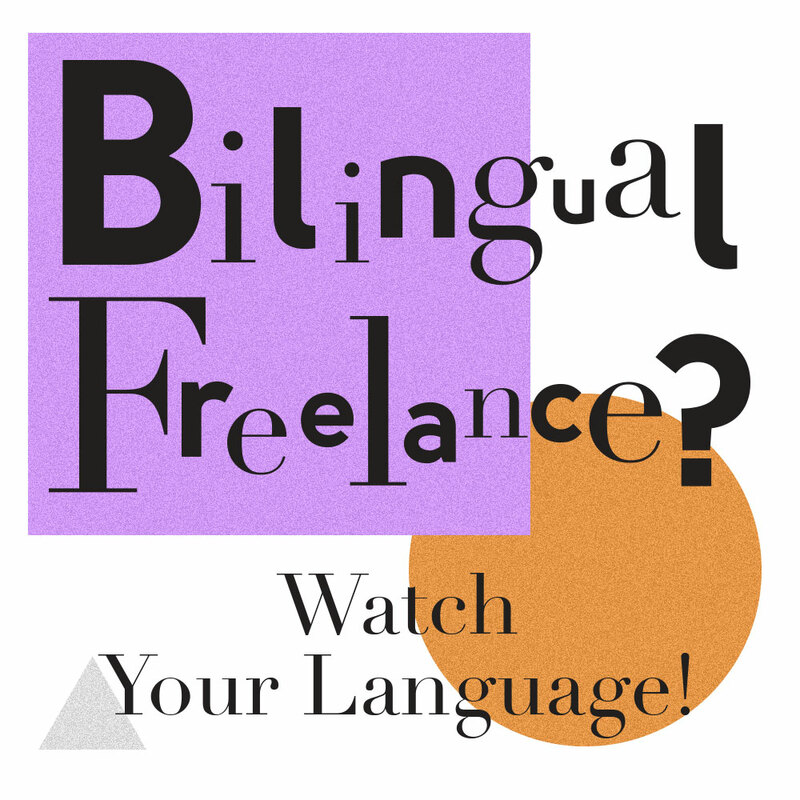 It could be that the market they’re trying to access doesn’t take kindly to English content, and prefer to be spoken to in their own language (for example, Spanish & French speaking countries) It may be wise to approach other language editors to adjust the content accordingly. 3) When a local business is concerned, you need to ask the client and yourself this – are we abandoning the local tongue completely, or generating two (or more) separate sets of content? Before you bilingualize your channels (what? It’s a word…), it is ridiculously important to research your international target audience, especially if it’s diverse and made up of various nationalities. You need to adjust your messages, your content and most importantly – your English, so that it accommodates as wide an audience as possible. One of the most difficult decisions a brand has to make once it’s gone bilingual is whether to split its activities into proprietary channels for each language, or consolidate them into one. There are many facets to this decision, and it is not one to take lightly – do I have proficient content to provide for each channel? How will my messages differ from language to language? Does the market share warrant a separate channel, or will several bilingual posts a week do the trick? In essence, do little more than adapting the existing channels so that they now deliver messages in more than one language. For example – Every week, upload 3 posts in your native language, 3 in English, and one in both. Some might see it as a cop-out, but experience has taught me it’s the ideal way to go with multi-national, small-medium communities. It’s ideal to spread a message across to both your home crowd and whoever’s tuning in from abroad. At this point, you might even consider ditching your local language all together and go full English. However, if you’re looking to promote sales in other regions as well as your own, this technique might not be suitable for you in the long run. If expansion and growth is what you’re after, you might consider…. Think about it – does a potential customer from London really care about a promotional sale in Tel Aviv? You might also want to consider the fact that suddenly switching to English might “scare off” some of the lesser fluent followers, thus losing a loyal local following. If you got your eyes on the great big world, you might want to consider splitting your promotional channels (at least some of them) between your local language and the English-speaking world. You’ll be able to address your local market in a language it understands, support offline sales in your area, and all the while have a blooming international profile, keeping in contact with your customers from around the world without the two ever meeting. Each community requires different focal points, strategies, sales platforms and advertising budgets – since we expect them to behave quite differently. However, it’s important that you’re able to justify this split, and have a clear distinction of what each page is meant to achieve. Here’s an example – I once worked with a company who distributed products both in major Israeli retailers and overseas. Thusly, two Facebook pages were set up for each market, with the intention of promoting global sales. Along the way, the company lost most of its overseas distributors, followed subsequently by the English-speaking page losing most of its functions, reducing it to little more than a daily-updated brochure. There’s nothing wrong with raising brand-awareness worldwide, but if your aim is to sell to foreign customers, make sure you have (and are able to keep) the abilities to do so. 1) Should I consolidate the bilingual content into my existing channels, or split it between localized channels? 2) Is my English proficient enough for the audience’s demands? 3) What are the client’s expectations from the bilingual strategy? Go on and take over the world. And seriously, learn Mandarin.